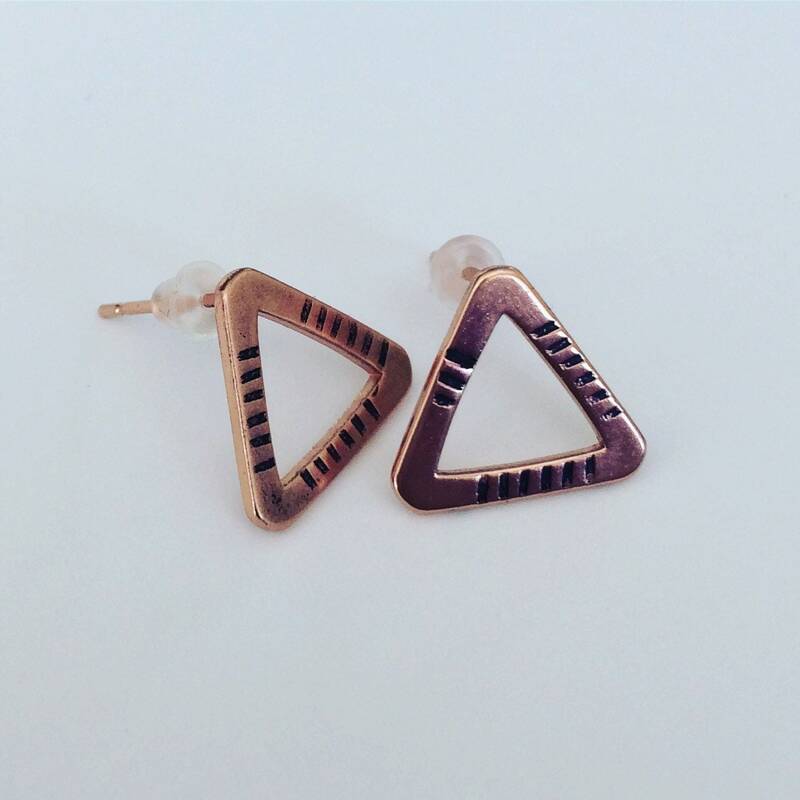 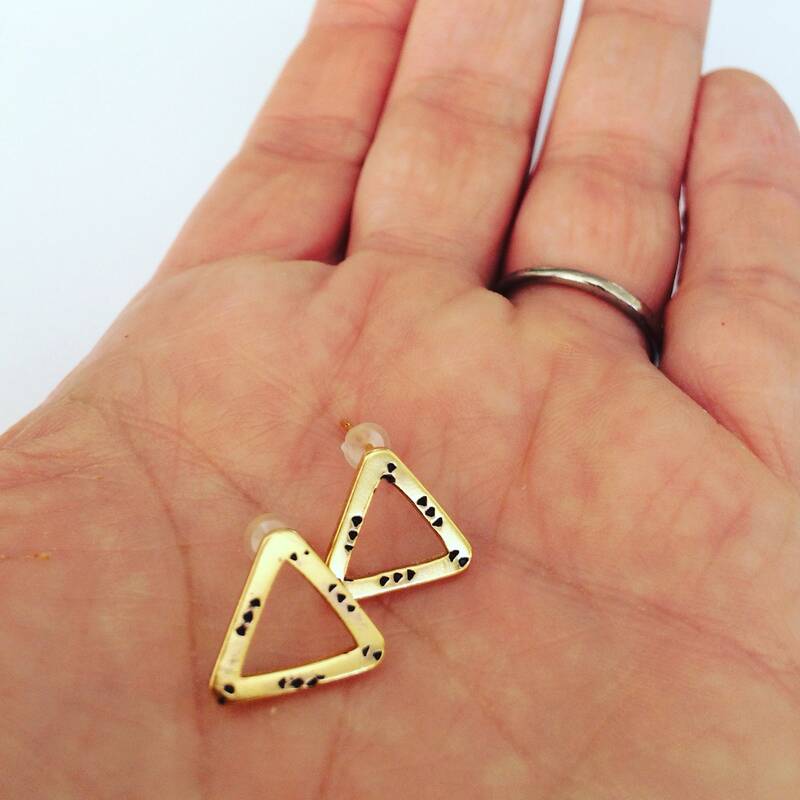 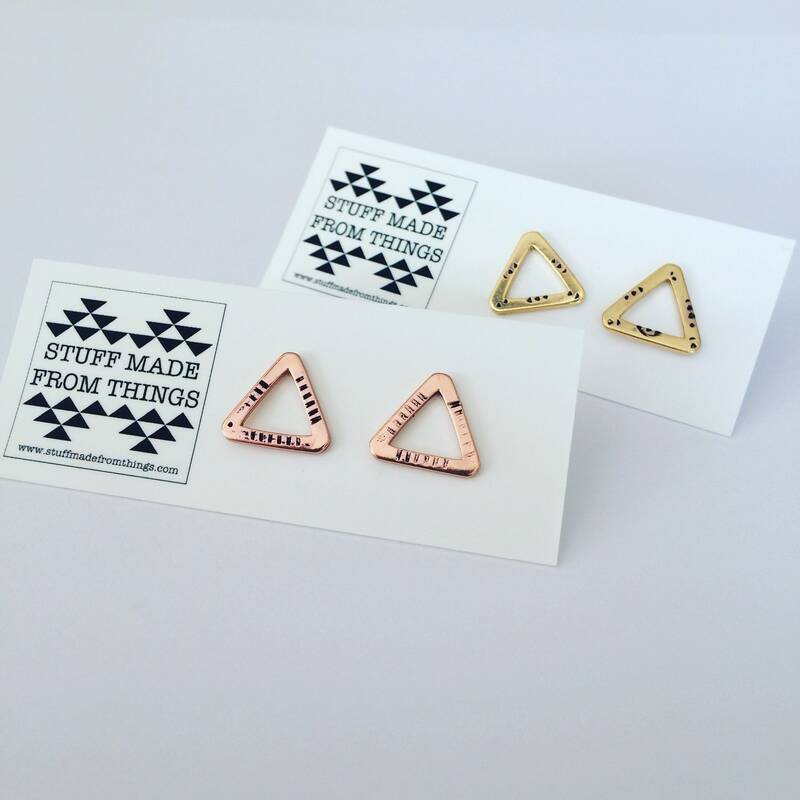 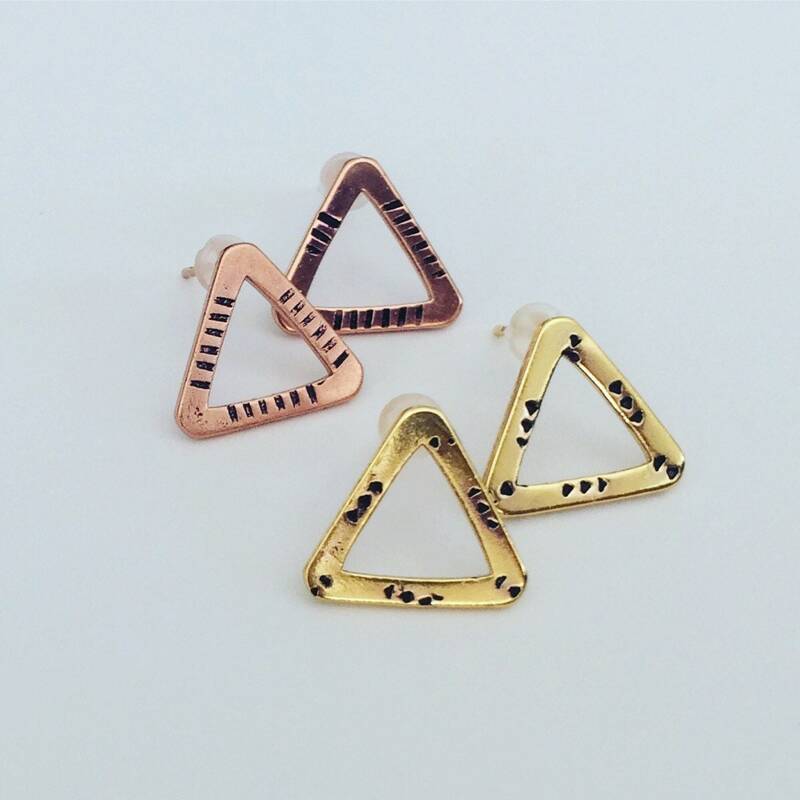 Fabulous triangular Stud in either gold plate or rose gold plate. 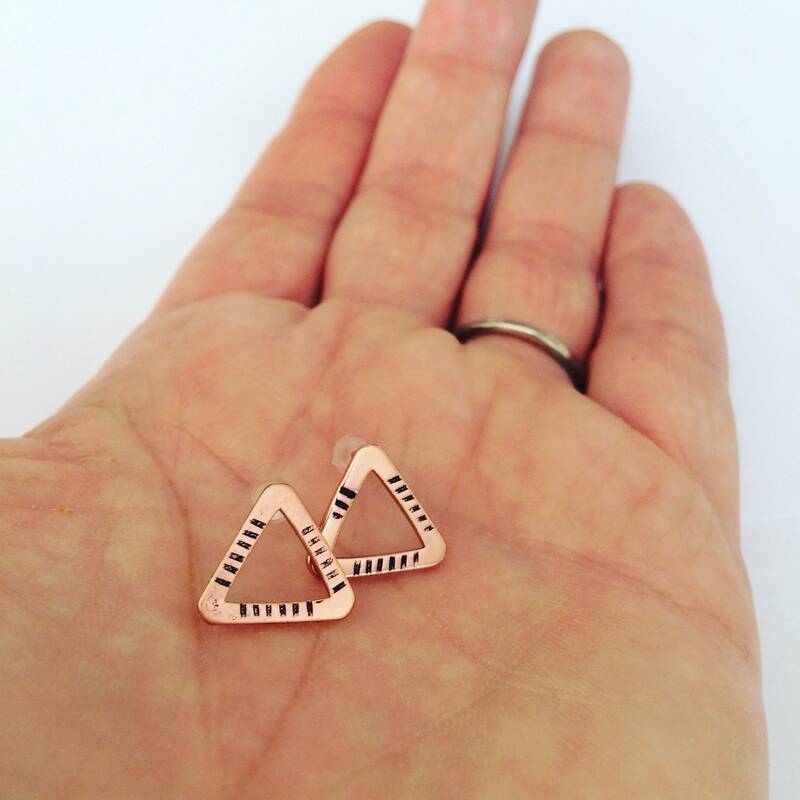 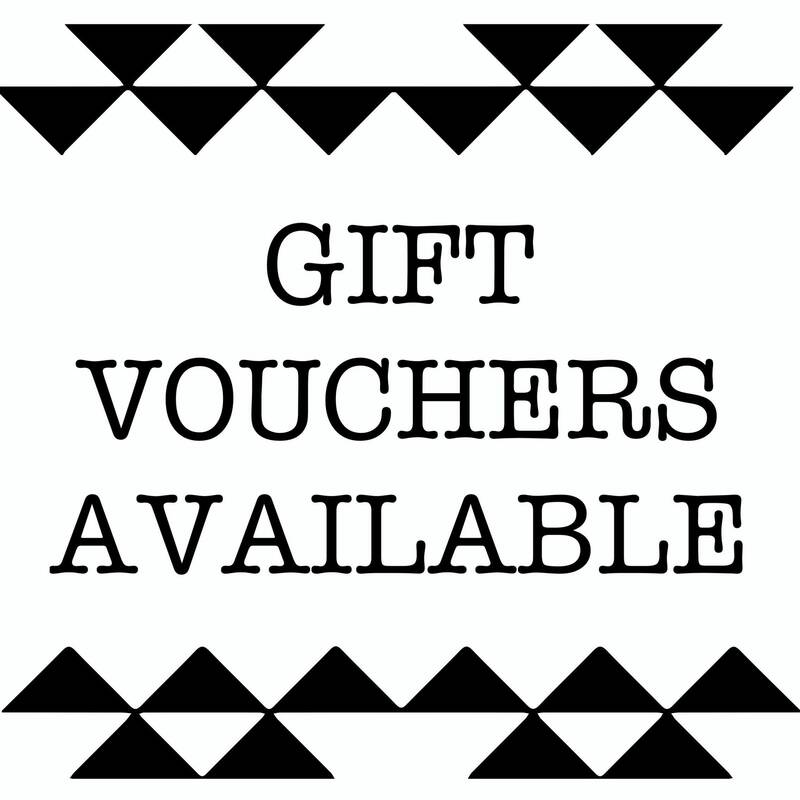 They are hand stamped by myself with a simple but striking motif. 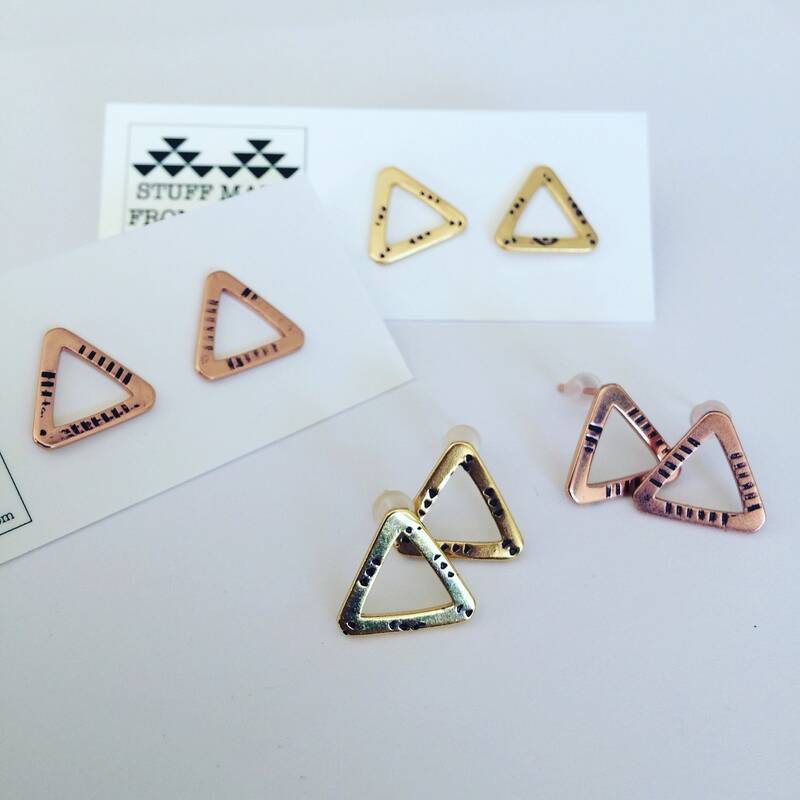 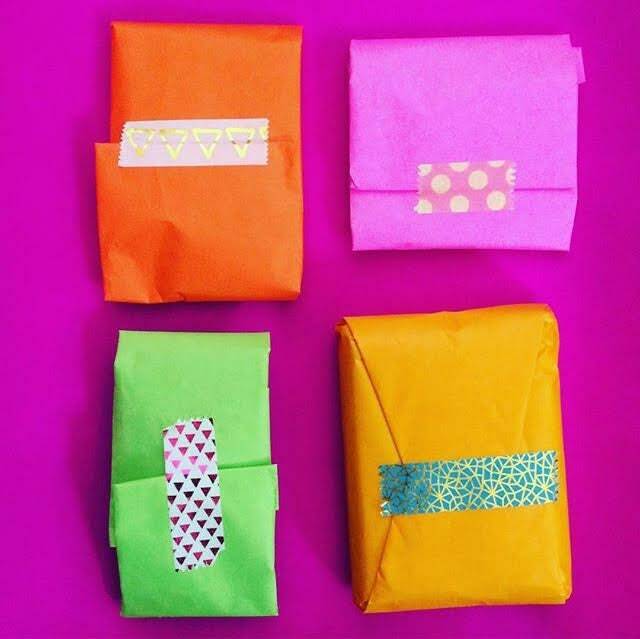 Each pair may differ slightly from those in the photos as they are hand decorated. 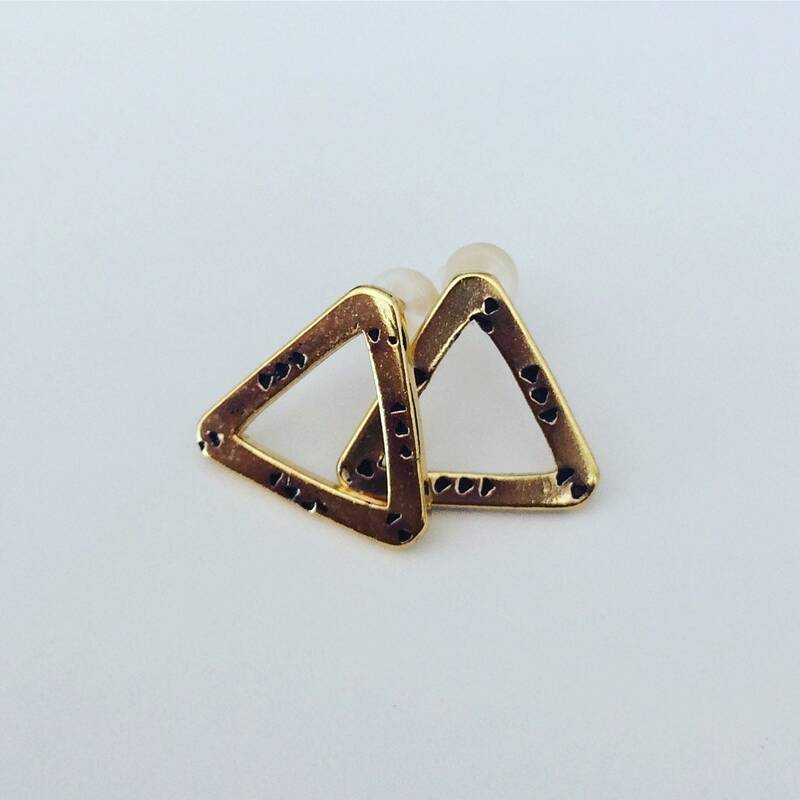 Price is for one pair of studs only.